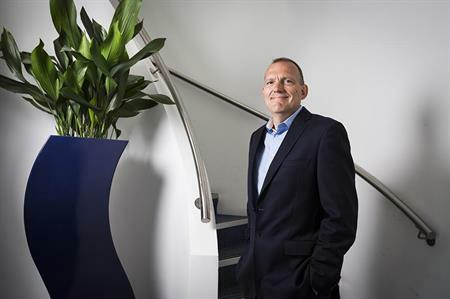 Agency Zibrant has reported a rise in pre-tax profit to £500,000 for the year ending 1 December 2015. Zibrant has also seen a rise in turnover for 2015, jumping 13% from £15,626,121 in 2014 to £17,635,019 in 2015. This is despite a fall in gross profit from £8,440,574 in 2014 to £8,154,333 in 2014. The latest results represent the company's first full year of financial trading, following Nigel Cooper's buyout of Zibrant in November 2014.
Cooper told C&IT that although the figures represented a large increase in profit, in reality there was a smaller difference. "The figure from last year wasn't a trading loss, it was a paper loss because of the buyout and additional costs. The actual profit was higher than £500,000, but we made a promise to our staff to share anything we made over that mark between employees," Cooper explained. "Trading profit was closer to £700,000. Due to the change in the business and costs the year before, it's very difficult to compare the two years, because it's not like with like." Zibrant's operating profit climbed from £385,895 in 2014, to £493,239 for the 2015 financial year. At the end of 2015, C&IT revealed that Zibrant would be running a shares programme for its employees, where all profits over the figure of £500,000 woud be divided equally among staff as an end-of-year bonus. It was also announced that managing director, Fay Sharpe, would be purchasing a 10% stake in the company. Cooper added that the company was on track to grow profitablity by 20% in 2016. "It's early days but a lot of efforts and energy has been going into pitches," he said. "The core income generators for us are meetings management, Zibrant LIVE and venues - they're the bedrock of the company. But we've actually witnessed the biggest growth and development in our delegate registration, accommodation and association services. These are new areas for the business and we're really excited about their growth." Zibrant’s rise in pre-tax profit follows a £300,000 net loss for 2014, despite a rise in gross profit and turnover. In 2014, Motivcom plc was acquired by Sodexo for £41m, leading to significant changes to the balance sheet. The company had to pay amortisation debts from previous acquisitions, as well as administrative items.